Guided canoe trips on the River Tamar. 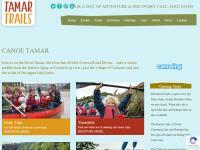 Canoe Tamar are a really friendly organisation offering a fantastic opportunity to explore the Tamar. 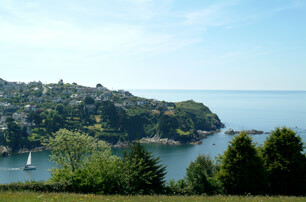 We did an early morning canoe (timings depend on the tides, but early morning means no-one else around) from Cotehele Quay, up the Tamar past Calstock and under the viaduct, almost as far as Morwellham Quay. I have never seen so many fish jumping out of the water - literally hundreds! The guide was really helpful and friendly, and anyone could give it a go, as long as they can get in and out of the canoes (the Canadian type, open and fairly stable). I would highly recommend this as a way to see the riverside from a totally different angle.